As I pondered what to post on my first blog post for Austen Authors, I had to ask, what would the readers like to hear? Although I read a lot, I am no historian and do not have the years of research to back up some event or custom from Austen’s time. I am fairly new to Jane Austen as well, being only reintroduced in January 2012, so I can’t say that I could offer readers great insight into her works either. I thought maybe I could write something witty and make you all laugh, but that is not my strength. I chose instead to blog in the same manner that I write all my blog posts on www.heyladypublications.com. After all, I have been blogging for over 2 years now. I am not witty, but I have learned a lot in my life, and these life lessons have made me who I am. These life lessons are usually what prompts me to write a blog post so I thought I would take you on a journey of self-discovery into something that moved me. I usually can tie the life lesson into my writing. Let us see how I do with this topic. This week, I am pondering the great evil presence in all of our lives: Fear. This life lesson is evil and poisonous to our souls. Of all the villains I have ever written into my stories, Wickham, Lady Catherine, Caroline Bingley, and soon you will meet Mr. Broadbent (from Inspired by Grace, due to be published in May 2015), there is always one motivator in their sinister plans: Fear. It is a powerful foe for sure. Often the beast carries multiple heads of lust, greed, deceit, and selfishness, but in the core of the beast is fear. Fear is the lub and the dub, the very heartbeat, of every foe’s existence. Fear is also only fed by fear. The surest way to give it power is to be afraid. The only sure way to fight the beast is with the sword of faith. I’m not trying to get all religious here. I’m saying that whatever you put your faith in––whether it be a personal quest for knowledge, the belief in the goodness of people, your preparation, the love and support of friends and family, or perhaps the old-fashioned faith in God––where faith is, fear cannot exist. As I ponder this thought, and correlating it to the villains of the books we read as well as the villain in our lives called Fear, I wondered, where would my book be without fear? In every good book, there has to be conflict. There has to be opposition. There has to be a way for the characters that we have fallen in love with to prove themselves. In a romance novel, the build up is seeing them start to fall in love, and just when we think the hero will propose and they have that first kiss, something happens that separates them, leading the reader into turmoil as to whether or not the happily-ever-after really will happen. Is that not true in our lives as well? We too must face trials and tribulations. We too will have to come face to face with things like inadequacies, financial struggles, unemployment, and we cannot forget the favorite tool that the beast, Fear, has in his tool belt, change. Without these hurdles, change especially, we would never have our “plot” climax and therefore the downhill ride to our happily-ever-after would be in question. It is this climaxed moment when we think it could not get any worse, when misunderstandings abound and our hearts are full of trepidation, that our true character is decided. At this peak moment, when we think all is lost, do we put the book down, or do we read on? For those of you who read on, you fought the beast of fear. You yielded the sword of faith and pierced the beast down. Your hope for a happily-ever-after made you put one foot in front of the other which eventually led to triumph. 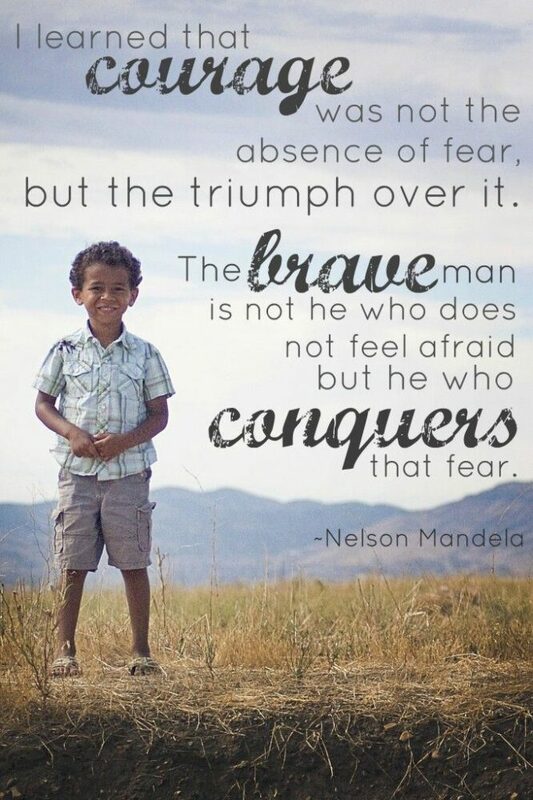 It is not because you had no fear that you triumphed. It was because you battled that fear and conquered it. That is what real courage is. Where there is no conflict, there can be no battle, and without a battle, there is no victory. So for those of you who are afraid, no matter what shape that particular beast is in your life, have faith in yourself; that particular sword is sharp and true. You have survived, and as long as you don’t put the book down, your happily-ever-after will always come. ← The Darcys….. We know they are real! Because of its history, South Africa stands against apartheid in the middle east. I wish the United States would join them in supporting human rights! You have survived, and as long as you don’t put the book down, your happily-ever-after will always come. Thank you for the excellent reminder! Very important to keep that in mind. Nice post Jeanna. Glad to see you here!!! Congrats on all the success you’ve been having! A great post, Jeanna! I’m looking forward to beta’ing more of your stories. Thanks! Thought provoking post. Thank you for sharing. Thank you so much. I hope I do provoke thought. Somewhere in the course of my life I have this insatiable need to help people. I can’t make them change, because everyone has their free agency, however, if I am that catalyst of change for the better, then I am pleased I could help. I rarely know if that is the case. Thank you so much for commenting! Wise words! Thanks so much for sharing. You are welcome! I just write what inspires me. It can come across as if I am a know it all but I figure, if I know it well enough to write it, then somehow I’ll remember it. Don’t you think? Thank you for the beautiful thoughts. You have to have faith in yourself and be committed in life in your beliefs. You also have to strive to do good for all and do it with your whole heart. You defined yourself to me when you wrote the novel, To Refine Like Silver.” Without faith in yourself, you can not move forward and be strong for those around you that you hold dear. So with that I will close and tell you thank you once again for great writing and inspiration to others. You are welcome MaryAnn. I doubt anyone who knows me would say I am uncommitted. I have a tendency to be loyal to the death. I assume others are like that and it gets me in trouble because it just isn’t true. You are very welcome. I’m glad you enjoyed To Refine Like Silver. It is my favorite book that I have written. Although, when I write a book, I fall in love with whatever hero is in that book. Right now I am writing Hope For Georgiana and I have to say I love Benjamin Pastel. I am publishing Inspired by Grace too so I’m cheating because I have a clandestine affair with Gavin too. Ha Ha. Cheers. Thanks for commenting. Excellent post, Jeanna. I have found, from personal experience, that fear can be a good thing too. Fear of consequences keeps us from making stupid decisions (like being the first person to test out an untested bungee cord or a shark cage). Fear of displeasing someone that we love and admire helps us fight selfishness and self-interest. Fear may be wholesome and cause us to proceed with due caution in the face of danger. 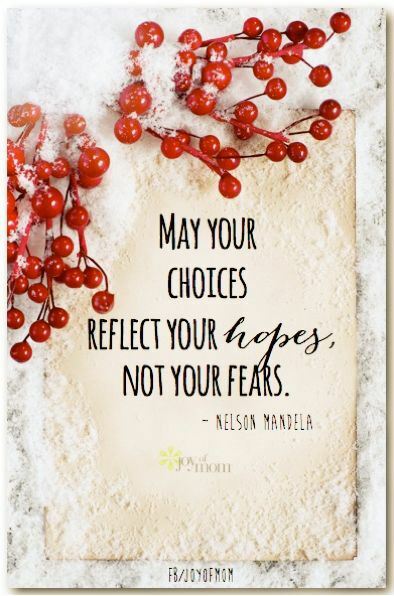 The kind of fear that you and Mandela are referring to is unwholesome, is morbid, and destroys hope and weakens a person. Never would I describe either of you as weak or hopeless, Jeanna. It is a joy to me to see the strength of your convictions growing and expanding. Your tenacity is evident in the strong characters that you write. Your books also speak of the importance of compassion, mildness of temper, and mercy. So, Jeanna, I believe that if I ever get to meet you in person, my first impression will be what I already know of you – you are a warrior!!! I can’t wait to read more of what you have to say. Ya I call that “fear of being stupid”. Ha ha. As a Neuro ICU nurse, I see “stupid” come in often. Everyone needs a healthy fear of being stupid in their life or Darwin takes over and naturally selects the demise of certain people. I agree that adrenaline is different than courage and therefore my fear I speak of is different. You are so sweet to say that I am a warrior! I have to say you are too and I agree that certain online people have a tendency to reveal their inner self so well that I do feel like I have several ladies that I go on lunch dates with when I log on! We really should meet someday Dawn. Jeanna, that post is so incredibly awesome I don’t know where to begin! A marvelous life lesson for all of us to hearken to and dwell upon. It is very easy to forget that daily we overcome something we are afraid of. Maybe it is killing that ugly hairy spider. (one of my fears!). It could be something so minor that we almost don’t realize we are afraid, yet by conquering the small things we prove our capabilities and grown stronger. And if we can do this day after day, then we can manage the tougher fears that come along. Hope! It comes down to hope, and faith as you said. Sharon you are so right! We have to take the time and tell ourselves at the end of the day “I did it. I survived.” Some days it is “I published a book” other times it is “I got out of bed”. We need to celebrate those things that are big and small. Hope is one of my favorite topics! I am thrilled to be a part of this group and interact with the readers like this. Thank YOU! Thanks for sharing, Jeanna! I really agree on fear being the root of other things, be it wickedness or selfishness. I really love it when heroes, heroines and even everyday people are able to overcome their fears. It does take faith in something, but it’s possible to overcome. Nearly everything I write, the conflict that separates the hero and heroine at the end is based on fear. Fear to trust. Fear to love. Fear of rejection. Fear of society (think Darcy). I posted a Facebook post a few days ago that said, we do not have to see the whole staircase, we just need to see the first step. That is how it is somedays. One foot in front of the other. Good post, Jeanna. You have a gift for communicating deep thoughts with clarity and understanding. You do that often in your books too, especially with your use of metaphors. Oh thank you Janet! You are so sweet! I have to admit, sometimes a book goes to my editor and she has to translate it from “jeannaspeak” to English. The raw version is almost embarrassing. My blogs however never see my editor. Thank you for saying that about my metaphors. I do rather like intertwining them throughout the book. You will enjoy Inspired By Grace. Thanks Jeanna, that was very powerful! Food for thought. Thank you Elaine. I think life is made up of a series of lessons. I figure, the sooner I learn the lesson, the sooner the trial moves on! I enjoy blogging about my life lessons I struggle with. Your passion shows through in your writing, Jeanna. Ha Ha, so it does! It can sound like a soap box so maybe I was a traveling salesman in my previous life. I doubt people actually question what is important to me. Even though sometimes it sounds a bit preachy. Thanks though. I take it as a compliment of the highest form! I completely agree. Fear is the biggest stumbling block, the thickest wall between us and peace, not to mention happiness. Thanks for sharing your thoughts! I really these words of yours and they are so true. I”m glad. I hope you take them to heart. It rung true for me and that is why I wrote it. They are not just pretty words, they are what I believe. Now, to remember them all the time is much harder but I try. The principal for my daughter’s school has a quote at the bottom of her emails from Mandela: “Education is the most powerful weapon which you can use to change the world.” I believe fear is deeply linked to ignorance, and if we step back and think about our actions and sensations constructively instead of reactively, we will find our path to truth. So much of the world’s problems can be traced to fear. What else compels a person to lash out in hatred towards another? Thank you of the opportunity to reflect and meditate this morning. I feel like I’ve taken one more baby step towards inner peace. Mandela was a pretty awesome philosopher from what I have seen. I always say that secrets are bad but ignorance worse. The more we educate ourselves the better prepared we are to fight our battles. Most of the time racism is because of ignorance. I am LDS (Mormon) and people actually have asked me before if I have horns! I have also been asked how many sister wives I have. If they took 10 minutes to read about Mormonism they would know that we do not practice polygamy. And who would have horns? Anyone? I am glad you took a step toward peace. This discussion is so intriguing. I’m glad I could be a part of it. I have a graphic that I have hanging in my office (and also on my FB page) that says “Happiness Depends on Ourselves” and I think that goes back to what you’re saying. Fear (and guilt as pp mentioned) can control our every breath and lead us to believe that if “such and such happens” or if “so and so will do this or that” we will FINALLY be happy and in reality, it’s all contained in who we are we just have to find it and embrace it. Great post! I totally agree! Fear is given power by our own choice. Happiness really does depend on ourselves. Just like hate or bigotry can destroy lives, fear can truly destroy ours! And always waiting for that happiness on the horizon “tomorrow” is for sure a recipe for unhappiness. We have to make our happiness start today! Great reminder of what we “fear” most, fear itself! Something all of us need to think about. Thanks for sharing. Thank you Brenda. We all fear similar things and if we look at others and their behavior as symptoms of their personal fear then maybe we would understand their behavior differently. Wonderful post really makes you think and realize how adversity is what makes us who we are. We are all our happily ever after!???? Thanks so much. Glad you liked it. I totally agree with you that adversity makes us grow into the person we are today. We will always have trials and therefore we will always have the opportunity to improve ourselves. Good to hear your thoughts. Thank you for sharing Jeanna. We all have to overcome our fears at some points in our lives. Thanks for your uplifting posts and stories. They always end up so encouraging. Thanks Joana. I usually only blog about things that move me and this topic was on my mind a great deal. I was fighting fear in my life and needed to find meaning to the battle. Thank you for saying it was uplifting. You are so kind. It meant a lot. Cheers!